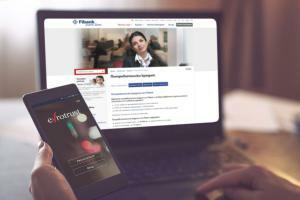 SOFIA, BULGARIA, April 12, 2019 /EINPresswire.com/ -- Fibank (First Investment Bank) now provides its customers with the option to sign documents remotely, in a quick and easy manner, without having to visit an office of the bank. When a consumer loan is approved, regardless whether application was made in person, via the corporate website or the My Fibank e-banking platform, customers may now sign the agreement using My Fibank, the Mobile App or a Qualified Electronic Signature (QEP) issued by Evrotrust. The bank first launched the remote signing option with one of its most popular products, consumer loans.